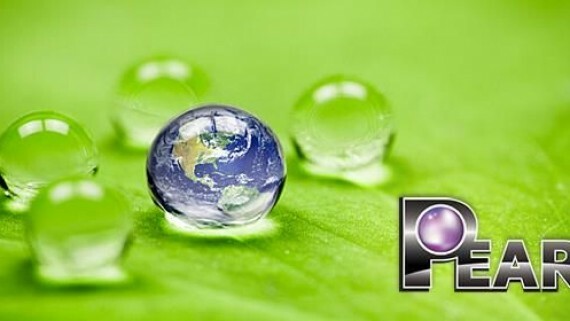 Please allow us to present the resounding capabilities and ecological benefits of Pearl® Advanced Ultra Nano 2-Wax premium formula that incorporates the very latest ‘Greener and Smarter’ waterless technology, which not only delivers the ultimate all-in-one cleaning and detailing solution for the auto care industry but also saves time, money and effort whilst preserving precious water reserves and energy resources. Our unique dry wash, scratch-free, cleaning and detailing technology releases and suspends dirt from vehicle surfaces; cleans, polishes and Super-Nano wax protects. Nano slip-surface ‘Lotus-Leaf’ effect helps repel dirt, maintain gloss finish and protection for much longer. 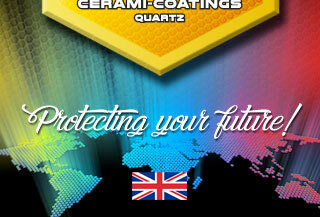 Containing UV screens together with unique ingredients our industry leading formula includes Carnauba Wax, the world’s hardest natural protective wax, which further increases shine durability and also protects treated surfaces from harmful UV radiation. 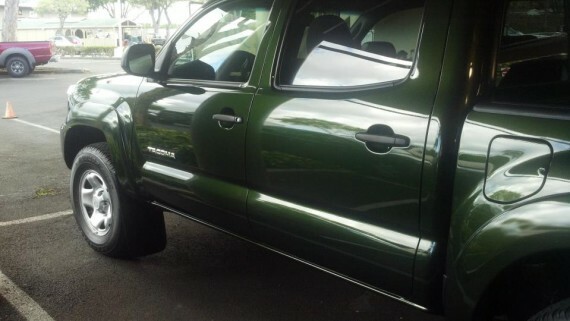 Why choose Advanced Ultra Nano waterless polish? 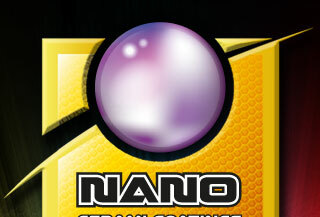 Nano delivers outstanding benefits into automotive paint protective polishes. A Nano particle is a particle measuring between 1 and 100 nanometers (it would take 80,000 nanometer particles side by side to match the thickness of a human hair). Paint finishes, even new surfaces, suffer from microscopic defects in the form of pin-holes and fissures which present a route through for moisture and airborne pollutants thus starting the process of corrosion in the base metal. Nano particles are small enough to enter and seal these microscopic defects, therefore preventing the ingress of these corrosion inducing pollutants. With conventional polishes the particles are too large to enter these defects and merely bridge over them and break down over time. Once Nano particles are in place they are extremely difficult to remove as the tightly packed particles provide an outstanding protective barrier and smoother surface which also imparts higher gloss levels and superior water sheeting. Advanced Ultra Nano water based formula contains only the finest raw materials including Carnauba wax, UV screens, Protectors together with the very latest in Nano technology which penetrates even the smallest imperfections and fissures in vehicle body paint surfaces to seal and so protects the base metal, delivering the ultimate in protective strength and durability with high lustre, lasting finish and superior hardness. Found only in Brazil the Carnauba palm produces the world’s hardest natural wax and in harnessing its protective strength and durability, Pearl® have combined this unique miracle of nature with latest scratch-free Nano technology to formulate a revolutionary, safe and easy to use, environmentally friendly waterless car wash, polish and Nano Shine Wax solution. Simply lightly mist spray Advanced Ultra Nano ready to use formulation onto a folded microfibre cloth and onto the target surface area. (Folded cloth provides many clean surfaces to work with and can be simply folded over to a clean face when excessively soiled). ​​​​​​​On contact dirt, grease and grime particles are liquefied and encapsulated by our special premium grade ingredients and are ‘lifted and suspended’ away from the surface preventing them from revisiting the surface of the paintwork. Gently wipe the surface with the leading microfibre cloth, effortlessly lifting the liquefied dirt, traffic film and oxidants into the microfibre cloth. The encapsulated dirt is trapped by the microscopic fibres of the cloth, then using a second folded microfibre cloth quickly buff the treated surface to impart a brilliant wax protected mirror gloss finish. Working around the vehicle from top to bottom Advanced Ultra Nano cleans, details and premium wax protects all exterior hard surfaces; paintwork, fibreglass, alloys, plastic, chrome and glass to deliver instant wax protected finish. Perfect for new and older vehicles – use as a premium weekly, fortnightly and monthly maintenance/cleaning service programme and also presents perfect fit for re-cleans, sold units, showroom vehicles together with fleet maintenance, large volume rental car/van companies, retail parks, airport parking and leisure parks. Average vehicle throughout of 18 minutes using only 160 ml of Advanced Ultra Nano per car to wash, highly polish and 2-wax protect a whole car exterior whilst saving a minimum 60 gallons (over 270 litres) of water, eradicating rinse off pollution entering drainage system and dramatically reducing service provider’s carbon footprint. Our totally non-hazardous formulation is completely free from all abrasives, phosphates, bleach, solvent, petroleum, acids, VOC’s and any other harmful ingredients making Advanced Ultra Nano user, vehicle and environmentally friendly making transportation seamless throughout the UK, Europe and rest of the world via road, sea and air freight. Can safely be used on dry or wet surfaces, in direct sunlight and shade to remove traffic film, dirt, light oxidation, water spots and is the perfect product for enhancing all exterior surfaces including modern day glass coats and paint sealant treated surfaces, delivering an instant brilliant and deep mirror-wax protected shine which effortlessly repels water and prevents dirt build-up for weeks. 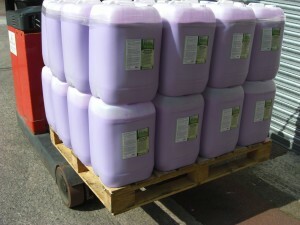 Unrivalled economy with 25L Advanced Ultra Nano 1:9 Concentrate making the equivalent of 10 x 25L ready to use product which can be simply decanted and diluted as and when required; providing outstanding price per litre, ease for logistics, saving storage space, negating volume empty container disposal and presenting effective management control. 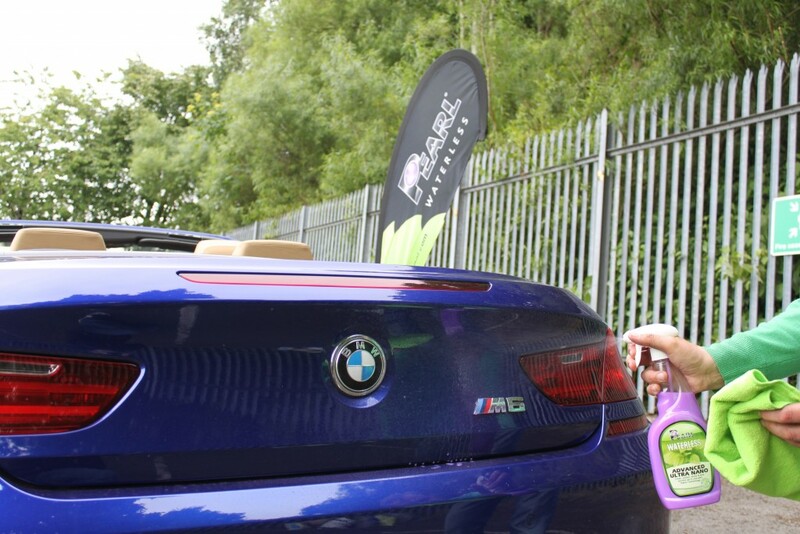 1L of ready to use product will clean, highly polish and wax a minimum of 6 whole vehicle exteriors and so from 25L ready to use product = 150+ car exteriors. Therefore from one single 25L drum of 1:9 concentrate customers can decant and simply mix with water as an when required to clean, highly polish and wax a total of 1500+ cars per drum or produce 500 x 500ml bottles, 50 x 5L or 10 x 25L containers. Pearl® Creating Eco-Conscious Awareness For A More Sustainable Future! What’s the Best Value Around for Cleaning Your Car?